The state of being drunk can make you take some terrible decisions. This recent incident is one such example of foolish activity done under the influence of alcohol. 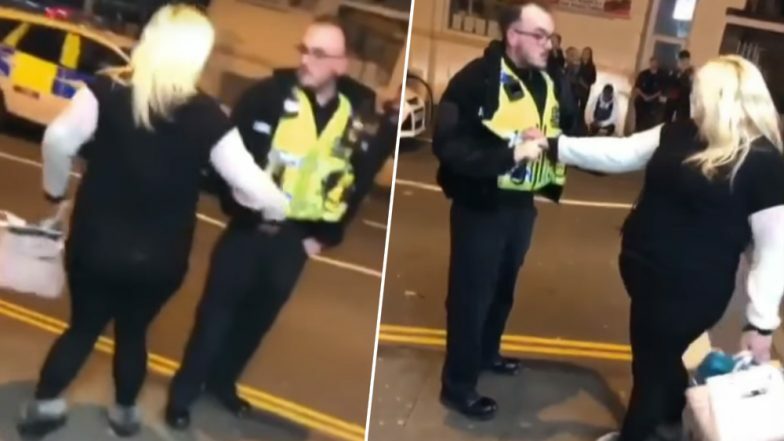 A drunk woman tried to twerk on a police officer and also taunted him to arrest her in Wales. She went ahead to say, "Arrest me with your c**k!" And videos of her misbehaviour has gone viral. While leaving the police officer unimpressed, the woman dressed in black leggings and a jacket, was definitely able to attract a £90 fine and a night in the cells. The post is flooded with comments shaming her. One of the many comments read: "Her parents should be totally ashamed! Stupid girl! Pathetic behaviour! What an embarrassment she is." Somebody else said: "Shameless trout! the copper was good though. Fair play to him."